We can say goodbye to the W203 Mercedes Benz C-Class now, as the last of it’s production rolled off Mercedes Benz’s plant in Sindelfingen, 15km south west of Stuttgart, Germany. 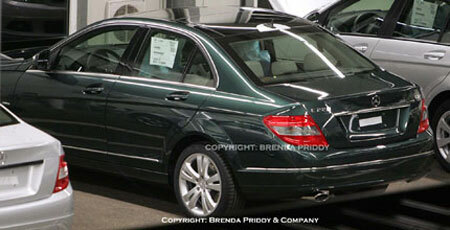 This particular generation of the C-class was introduced in 2000, replacing the previous W202 C-class introduced in 1993. Following the 7-8 year model cycle that the C-class has always had, this phasing out was expected, and the new W204 Mercedes Benz C-class is expected to have a public debut either at the Detroit Motor Show in January 2007 or the Geneva Motor Show in March 2007. Above is an undisguised spyshot of the third generation Mercedes Benz C-class, and one again following the tradition of C-classes, it looks like a downsized S-class. The size of the boot looks abit small from the looks of the rear overhang, but then again it might be an optical illusion of sorts to make the car more sporty.